List of the most beautiful cities in Europe, as ranked by Europeans and world travelers from all over the globe. When any wannabe tourist or expert traveler is planning the dream vacation to beat all vacations, cities in Europe are often on the top of the list. Europe is chock full of gorgeous destinations, including cities filled to the brim with natural wonders, historical buildings and art that puts anyone’s hometown to shame. For travelers who can’t help but dream about lush gardens and breathtaking mountain views, European cities like San Sebastian and Lauterbrunnen are the places to be. Art enthusiasts can’t miss Italian cities like Florence and Venice. For those who dream of strolling through historical sites, Rome, Athens and Munich are incredible locations. Whether you’re interested in visiting the top of the Eiffel Tower in Paris or strolling across the London Bridge, Europe is packed with world-famous locations that are perfect for travelers of all kinds. Lesser-known locations like Ferrara, Salzburg and Porto have sights that aren’t as populated by tourists. What are the most beautiful cities in Europe? Each city featured on this list has among the most beautiful views and sites in all of Europe. Prague offers travelers a European experience unlike any other with the unique building structures and fairy tale-like atmosphere. 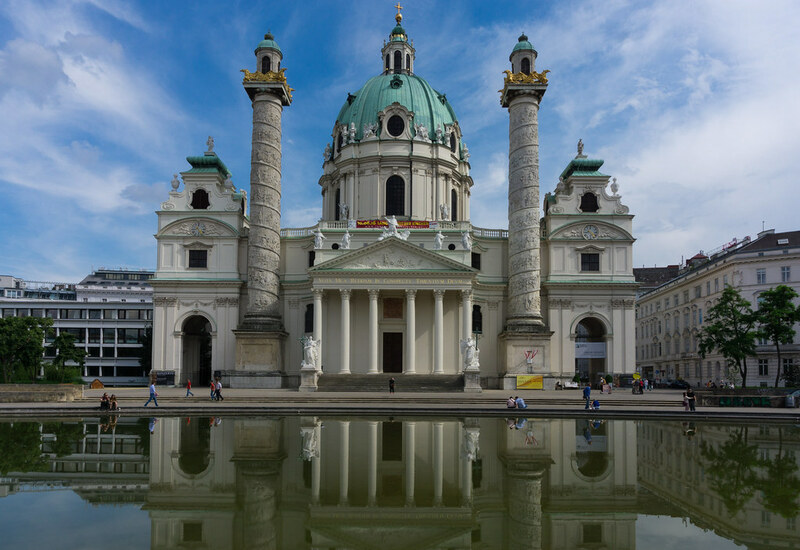 Vienna is filled with attractions for every type of traveler, from those who appreciate the architecture of the Hofsburg Palace to those who enjoy theater and music. Rome is home to the Colosseum, Roman Forum, Trevi Fountain and other amazing historical buildings that will make you feel like you're in an ancient city.